I put together a wiki page (http://greentransportation.info/electric-vehicle-charging-and-usage-scenarios) laying out what I think are "all" the typical charging/driving/using scenarios for electric "cars" - and shot a video (below) about it. I'd love to hear some feedback and thoughts. So they're there, I don't know what the uptake is, I'd guess "small"
Yeah.. I knew that, and skipped over that detail. Thank you for the picture. I can't really see the reason for it yet in Australia anyway. There are as far as I know a total of none available vs about 100 million normal power points, which for a motorcycle are just as fast anyway. Even if you're talking "paid public", then caravan parks (trailer parks for our American cousins) have thousands of locations with tens of thousands of charge points all of which my normal Zero can plug into. That's because normal household supply is 240V 10 amp, caravan supply is 240 volt 15 amp. Very sensibly a 10 amp device can plug into either a 10 or 15 amp outlet (or even one of the quite rare 20 amp outlets) but a 15 amp device will only fit a 15 amp or 20 amp socket and a 20 amp device will only plug into a 20 amp socket. The zero draws less than 5 amps anyway. Saying that acquiring more information dispels range anxiety is a gross oversimplification. In my case it's been the opposite: I started out thinking that it wouldn't be especially difficult to find recharging points, including opportunity charging at parks and businesses, but in reality it's been impossible. In my first riding season of trying hard to find these recharging points, my single success was at a home yard sale where the $5 I offered was clearly needed. I have tried to contact both local businesses and in one case the Chamber of Commerce for a local tourist-oriented city (Saratoga Springs NY). In all cases I was either rebuffed or ignored. The staff at Grafton Lakes State Park (NY), which uses GEM vehicles, was sympathetic while they were under the mistaken impression that I was talking about a personal mobility scooter; once they realized I meant an actual vehicle, I was forbidden from recharging there. From what I've seen in discussions at this site, the people who are successful at opportunity charging are generally the ones who do it without permission, away from the eyes of the people who own or are otherwise responsible for the outlets. 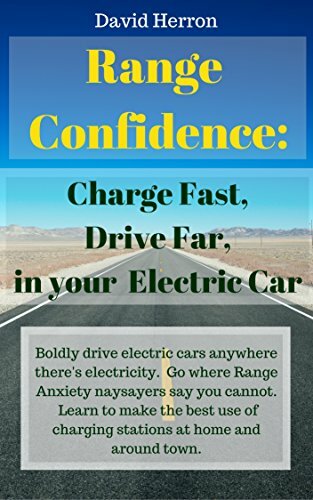 I believe that some of this arises from the mistaken belief that recharging an EV for even a short time would be costly for the owner of the power outlet. I also think that businesses worry about liability issues, although I find it incredibly ironic that a chain of stores that sells self-service gasoline would be worried about a lone EV rider electrocuting himself while hundreds of people a day are pumping thousands of gallons of gasoline through non-sealed connections into their vehicles. In the case of the park, you can rent a pavilion with outlets and plug in a double hotplate for the day, using enough power to recharge a dozen electric scooters. The people who *really* need more information are the ones with the power points, not so much the people buying the electric vehicles.